When I first visited Duke to scope out housing options and explore Durham, I noticed a strange collection of items in the university bookstore. If you’ve ever been there, you may have noticed the strange phenomenon as well. I know that this blog is loosely water-themed, but another very important topic of conversation in my life is the lemur. 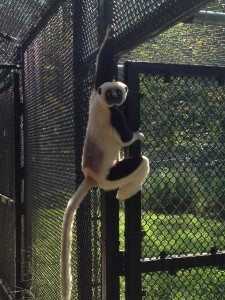 The Duke Lemur Center, situated only about 3 minutes away from campus in the Duke Forest, houses the largest population of lemurs outside of Madagascar. It is a magical oasis of Madagascan paradise (which just means it’s a nice spot in Duke Forest that happens to have some lemurs in it) where I get to spend some of my time. Soon after moving to Durham last summer, I became a tour guide at the Lemur Center. It’s my job to help introduce people to a sample of the 250 individuals (18 species) housed there. Essentially, I get to hang out with a bunch of happy lemurs and talk about the Lemur Center’s research and conservation efforts. The days of the week that I spend at Duke Lemur Center are definitely highlights of my week. I invite everyone to come visit us and meet these fantastic prosimian primates. Without further ado, I’d like to introduce you to the Duke Lemur Center with five happy pictures of five happy lemurs. 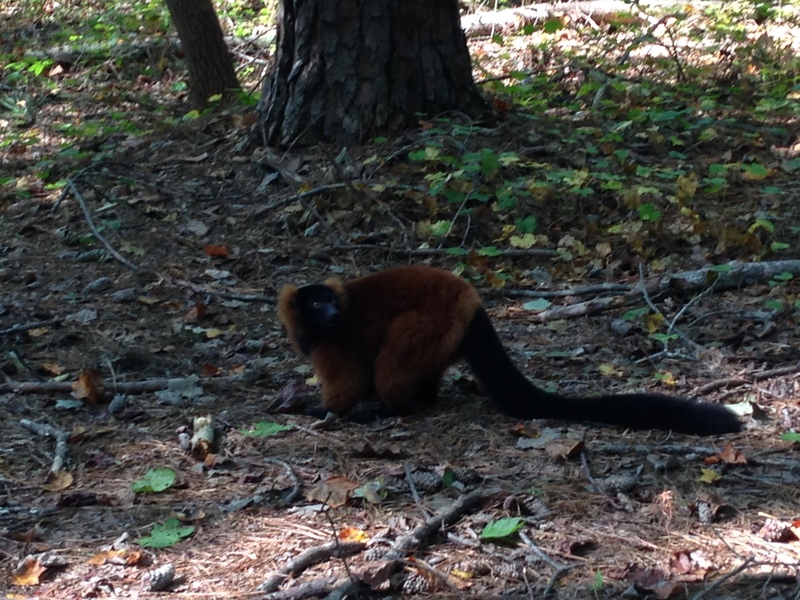 A beautiful red ruffed lemur looking for the lemur chow that we threw on the ground. 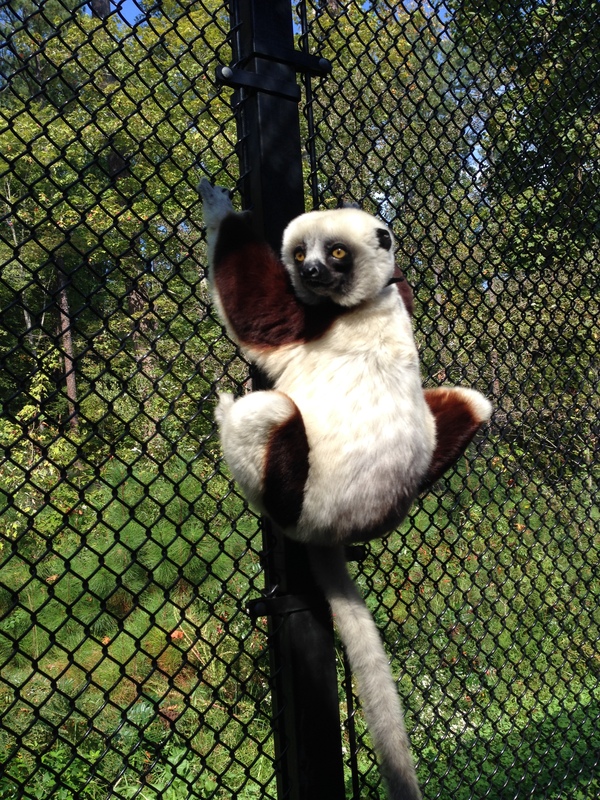 Lemurs tend to eat things like fruit, flowers, leaves, and sometimes insects. 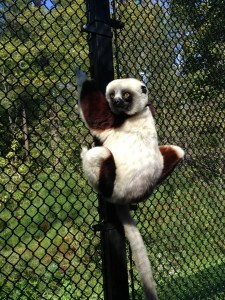 A coquerel’s sifaka just hanging out. They move by “vertical clinging and horizontal leaping.” Here we can see some of the clinging motion, and to move from place to place, they’ll leap from side to side. 3. 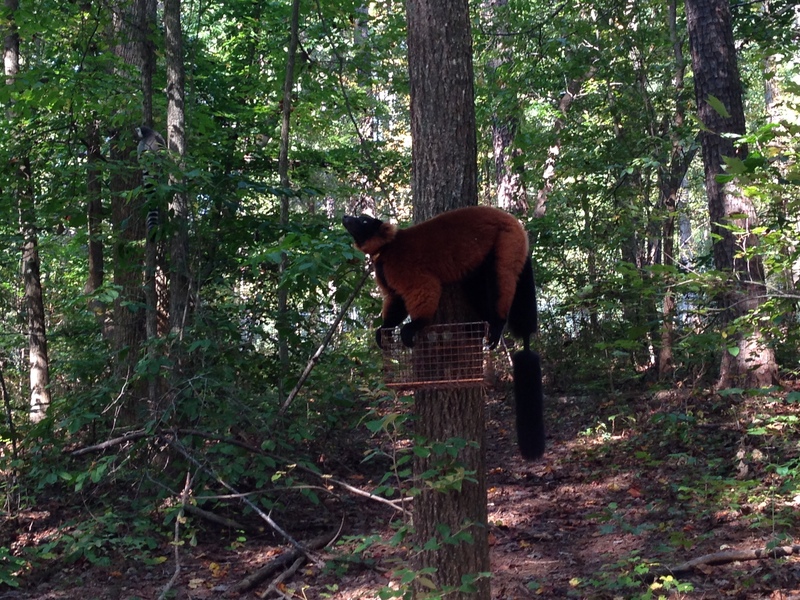 Red ruffed lemur in a tree! 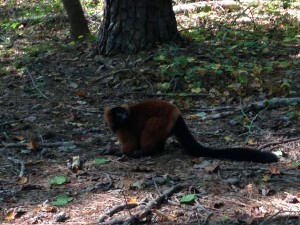 A red ruffed lemur. These live in the rain forest on Madagascar and they like to spend time up in the trees. We shave parts of their tails to identify among individuals. 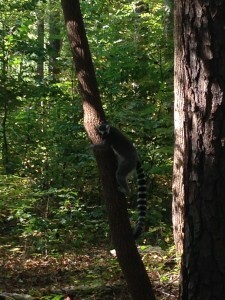 A ring-tail moving from the tree to the ground in search of food. These are the most common lemur found in captivity. 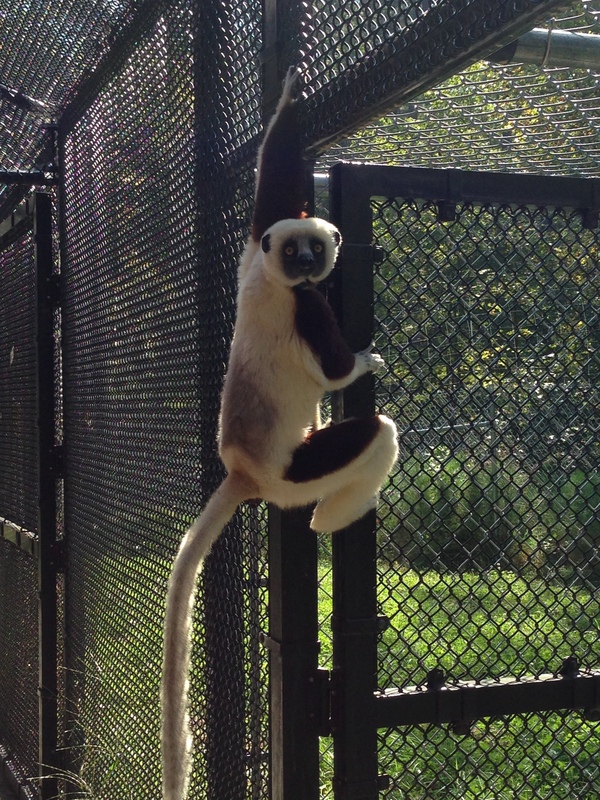 These tend to be the largest lemurs you can find at the Duke Lemur Center. Please note that we’re not standing in a cage; this is more like a hallway between a building and the forest. Thanks for viewing! 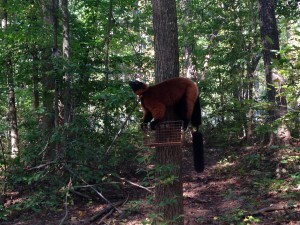 Make sure to check out the Duke Lemur Center blog.